It’s astounding how often I find myself in awe of the things that happen in my life. There are these magical moments that transpire and I can’t help but wonder if I’m not the subject of some magnificent, epic story. I can’t possibly be the author, though, were that the case. Still, that has been my feeling much of the day. I feel like yesterday was some dreamed chapter of my life and I just keep flipping the page back to the experience because it felt so unreal. Only, it definitely was real. That really happened. I was in costume akin to a school girl from an anime, only I was Babydoll from Sucker Punch. He requested I help him tidy up his place, so there I was, fresh from the anime convention. Music streamed as we went to work, organizing things in piles and designating what was trash. It was when we were a few hours in; the vibrations flowing and our comfortable, effortless chemistry pulling the reigns, that we faced each other for our lips to meet. Stellar is the name of the song that began to play. It was a familiar tune, and the tugging of guitar strings sent the heart fluttering. There I was, in front of him. We were sitting in the middle of the room, gazing into one another’s eyes. Stacks of papers surrounded us in the cozy apartment. My outfit bore my lithe frame. There was gentle feeling of shoulders and hips and the face and neck. There was nuzzling and we were so close. We kissed for the entirety of the song, beginning to end. It was continuous and sweet. It wasn’t the kind of kissing that would demand anything more. It was perfection, in all of its sweaty palm and lip-biting glory. Going into 4 days with no home internet due to outage outside of my…home. Not to mention the snow storm that delayed school and work. And before that my own personal 4 day power outage. This winter has been nothing if not eventful. Still, like most any time of year, the present moments fill with experiences that gather in greatness. It’s all in the attitude, I attest. I feel as though I truly grew into that optimism award I received so long ago as a fourth grader. Those teachers saw what I couldn’t then. But what blinds me now. The typical day is extraordinary in its own way. Barring major conflict or death. The typical day beckons with offers so irresistible if you listen. It practically screams at me, even as I go about my business in my trim and proper way. A trained monkey set to stray on the routine…..routinely. It happens every day. Think of this as my personal diary- a run-down of a feeling I’m exploring and trying to….express. Thinking of it as that, I would proceed with the day of the SWAP MEET (1/11/14). My days in Grand Rapids are like voyages to lands of untold greatness. Fish greatness. Because the city, so much larger than Lansing, hosts so many pet stores of numerous chain origin and small business alike. It brightens my heart as I go from shop to shop cherry-picking the best of the best. I seek bargains and beauty. Beautiful bargains, I might say. Like a shop hop on a smaller scale than those arranged by organizations, it is guaranteed I will come home with something new. I did bring home much of what I sought. But the meet for fish clubs….my, it’s something. Greatest in value for supplies and plants, I was sure to load up. Nearly 40 tables were filled with the dreams of young aquarists (i.e., me). Old literature lay about everywhere, on subjects from herpetology to marine biology. Even an old shedd aquarium book, displaying the history of the historical building/attraction. It all went for garage sale prices, in the middle of january in the coldest state I can imagine right now. I talked to nearly all the people I bumped into. I’m a friend to many, and many are a friend to me here. I suppose the only fish i gained from the event were tinwini danios. But a small tank, a light, many plants, bloodworm flakes (it’s a thing), mixed shrimp, and a daphnia culture rounded out my purchases. I have many endeavors to attend to. And I keep them in mind on the daily. Then it was to BLUEFISH AQUARIUM, where the hobbyists meet in a casual way after events such as these. The kid-in-a-candy-shop effect was undeniable. I wanted more than my wallet could handle. And self control…well, that’s a hard entity to bargain with. Two barb species went under “must-have”….but in an eventual timeline. I bought my fire-ring danios on sight. Because my rule of thumb is if it is a danio I do not have under my care, it has to be made to be under my care pronto. Fond childhood memories aside, I loved everything at face value. The other priority species had to be a pair of Indian spiketail paradisefish…for the losses I experienced of spawning adults. They do like to commit piscine suicide. Via jumping out of water. The other thing was a bit of a shot in the dark….a pair of weitzmani tetras for the small price tag and my desires for adventure. Other shops included VI PETS and CHOW HOUND. At the Jenison VI location, i found ultra-cheap hillstream loaches. January is 20% off fish month there. Too good. Even if the fish are sometimes in questionable condition. At the other location (CUTLERVILLE), I found rabbit snails for so cheap. Yellow and marvelous. And I am certain some captive bred steppe runners must be mine shortly. Another endeavor and for another post. Regardless, I spread the hobbyist cheer wherever I go. And inform of fish clubs and reptile shows and good things. The last task was the meeting. We have an exciting year ahead of us at GVAC. it is truly the year of the fish. I turned in 2 spawns to start the year strong. Choprae danios and Celestial pearls. And the talk on aquatic plants was uplifting. I wish to experiment there as well. LED workshops and box swaps are in the works. I have two articles half-written. I’m so happy with my hobby, it’s absurd. Yesterday was the Preuss Pets Holiday Party. Another social experiment and time for merriment. I do feel a bit out of place in my own workplace, but slowly it molds to my form. Slowly I adjust to it. My white elephant gift I gave involved a giant microbe plushie….my gift of choice. Here, have mad cow disease! adorable and fun to say. I got a nice pair of sharpies and gummy candy in return. The nature center offered a complex and stimulating background. Snapping turtles and hissing cockroaches and educational tools awaited the upper level. Below, a crowd of people humming with conversation. Some of it I partake in. Some of it I tune out. It’s an old habit hard to break. But it’s breaking walls, after all. I have befriended a number of individuals. More yet to convince that I am tame and good company. Relatively. I like to think so. Today, I have a day chock full of classes and work and business. So much to adhere to. Such a schedule to follow. But if anyone can make the best, it’s me. It’s the fishgeekgirl. I walked up and down grand river after doodling fish and engaging in Ichthyology lecture. I’m a tad too eager there, but I cannot help. Free coffee, free t-shirt, free mints, free coupon books….all perks of going to MSU. Little pieces of enrichment that make the mood lift. Seeing a sign for a good lunch deal, I stopped in foreign territory and sat quietly with my wi-fi, filling out the remainder of my planner and signing away my time happily and readily. The demands are great. But my condition can’t get much greater. Even after all of this description- I feel I do not do life justice…..I could write a million words on the subject in one breath, with the enthusiasm I contain. Sheer and genuine and wonderful as the highest high. That right there is love. 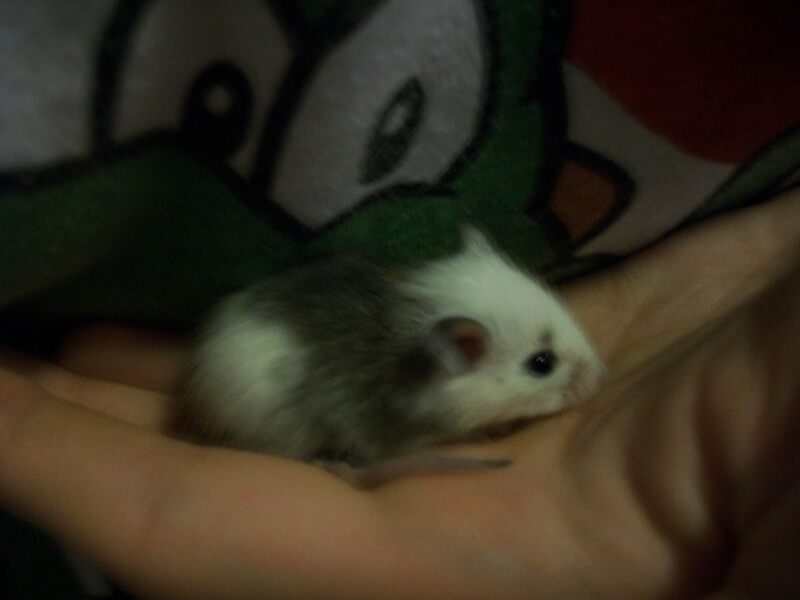 A new baby rodent to grace the world and in my palm. That baby soft fur rat. It’s a critter of mine. And if not for those critters…..well, I probably wouldn’t be hungry today. It’s such a counter intuitive move to spend money on animals when you need it to eat. When you wouldn’t be broke if not for unnecessary “luxuries.” A pet is supposed to be a luxury- only afforded truly by those who have more than enough for themselves in the bank. I don’t. I live paycheck to paycheck like a lot of people. Only i really wouldn’t have to if I didn’t have these critters. And the demands only mount. I have….probably 11 lizards right now. 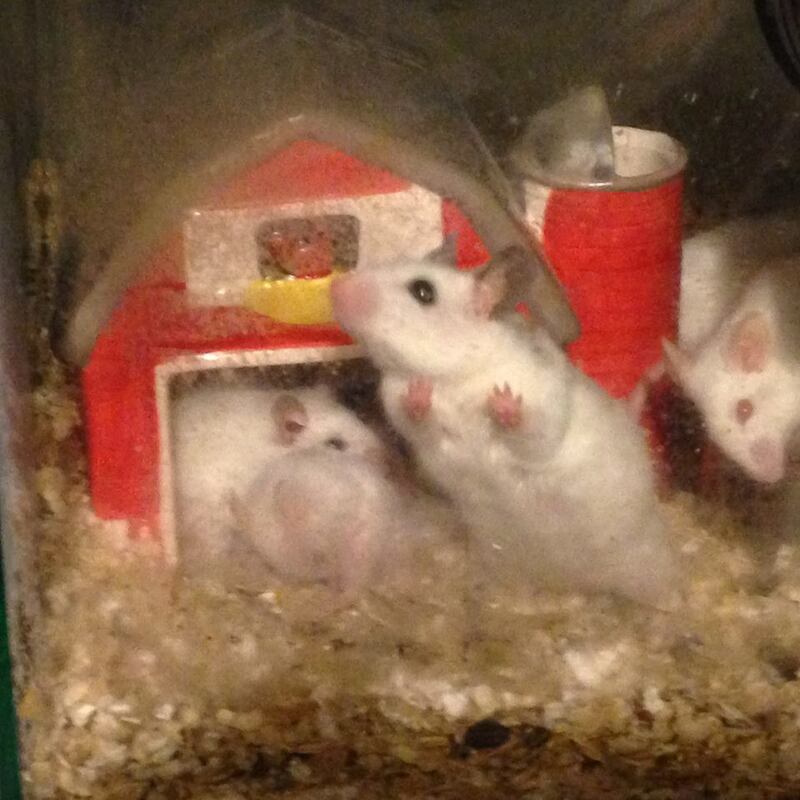 5 rodents. 2 axolotls. Copious live feeder insects. 100+fish. 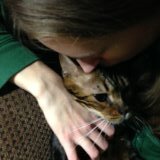 A cat who is more of a child to me. Yet it always seems I’m on the lookout for the next cool species. To breed and keep for my livelihood which neither activity supports. Today I realized that if not for critters, I’d be pretty well-off. I’d have a savings account with money. I wouldn’t get myself in a pinch like today where I’m eating the remnants of a packed lunch until I get home at 10 PM after 10 hours away. But then…. What would I have to look forward to? Most certainly not that little baby rat. And what would I spend my days doing? Watching Netflix and studying dusty old books? I can’t say I’d rather have anything else. So leftover halloween candy it is…..to persist. Til the next paycheck. Which I will readily spend on my critters. I woke up today a mini-celebrity at MSU. Although that’s probably an overstatement. I got an article in the state news, and that’s the gist. But I was proud, as were my friends and family. It was a moment. I had my coffee and set out to experience new things. That I did, that I did! My mind is jumbled now trying to recollect, but mostly….the idea of savoring every moment of every day comes to mind. That’s what I indulged in. I savored every inconvenience and every interaction today. Should I recreate this day? I think it would fill many pages. And this is most days for me, crazy enough. How can you not have a million things to say? AT all times? it’s exhausting. But I want to revisit, even so soon. Even in the event that it’s not over. Shall we?! It begins with a false start. Fridays are always a free day for me, which is glorious. But i got on my bike and intended to get much accomplished only to get called back home while i was just perusing Old Town. I bought some waxworms at the bait shop as they were out of the elusive butter worm that tantalized me previously. I scanned Preuss Pets but made no purchase. Also I nabbed a deer tail for potential costume use. Returning home, however, was no awful thing. It set me on the right track for the day as I had intended to get a haircut but knew in my heart I only wanted to get it done at an Aveda institute (which is nowhere near Old Town). My sister joined me for Chinese food as a lunch. And I made my appointment. The next time I embarked by bike, I was to succeed in getting somewhere. I struggled with mounting the bike on the bike rack as usual, which always entertains the bus driver who picks up at the end of my street. I guess I’m a regular now with this whole “no car” putting me in the bus system more than I’d like. But I make the best, we all know 🙂 After a quick transfer, I was on Grand River and downtown East Lansing. 3:00 PM. I had thirty minutes til my appointment at Aveda. So naturally i took the opportunity to check out the Curious book store, which always treats the eyes. I set my alarm and began browsing. I wanted a nature guide of sorts, but instead stumbled upon a Pond and Aquarium fish encyclopedia that i recalled checking out as a kid at the community library. It was the very same content. Beautiful. It was the first item to be packed. I always like when I get my haircut and the stylist tells me i have nice hair. Really thick, but nice. I have been weighed down with length and….weight….so I allowed 4 inches to be hacked off very neatly. It was no stressful procedure. It was necessary. And then i had the delight of biking around town with a short hairdo. Though I intended to take the bus straight to the meridian mall to get out near Okemos, i found myself chasing it by bike. And then….i had biked halfway there. So I kept going. I haven’t had a functioning bike in years, and being that I grew up in the country….paved paths for biking is just so nice now! So i quickly perked up and just focused on the destinations. I knew i needed to get feeders……a little odds n ends. But mostly I just like browsing because it is the unexpected sale that is always most rewarding. Did I mention it was payday? Twas. I browsed Pet Supplies Plus. Just a quick in and out. It never delivers for me much these days. but of note…I saw an electric blue acara contaminant that I could have acquired cheaply. And many, many reptiles half off. too bad I have my fill. Even so, I grabbed a care sheet on firebelly toads. Why not? It’s free. I began to feel hunger and so stopped at Burger King. I have bruised a lot. A LOT. so I wonder if iron deficiency is to blame. Or maybe I’m crazy and reckless. Either way. Food. While consuming my whopper Jr. and fries, I noticed a survey on the back of my receipt promising a free burger or sandwich. So I made note. As I biked further, I got honked at a few times. people staring. Maybe at my chest as I wasn’t keen on wearing a bra with my cami today. Oh well. I biked til I made it to Petsmart. Taking many back ways to avoid traffic. I chatted with the fish guy. Very good deals to be had on nice fish i noticed. Silver dollars for….a dollar. That was just funny. And brown knife fish for $4. I made many, MANY notes here. And I guess at some point panda cories became super cheap. NOTED. Here, I grabbed some wet food for my cat-child and new toys on clearance. I also needed feeders. Coupon promised free dozen crickets with superworms. I also got a coupon for $3 off next purchase with survey which I anxiously anticipated. done and done. Next stop was the mall. Right nearby, thankfully. I meant to go to Bath and Body Works. But loitered everywhere else anyways. Schulers is my favorite entrance…offering used books and goodies. I did not buy, but a baby bongo toy was awfully tempting. I may just visit the newborn bongo at Potter Park Zoo tomorrow. I have always loved that antelope. Distractions aside, I did take home an assortment of soaps and sanitizers. Which didn’t make my pack any lighter. I’m prepared to murder my muscles, it seems. Lastly, I had to get over to Meijer. I figured i would pick up the bus there afterwards. It was pushing 9 PM. But i needed things that did not turn up elsewhere. Such as vitamin supplements and tupperware. Ware proved difficult to pack, but I managed. I have no qualms about removing packaging to stuff things in my backpack on these trips. Before I left Meijer, I ran into a pair of men buying a fish tank and accessories. I stopped to make small talk and told them to enjoy it before carrying on. As I was leaving I glimpsed this same pair picking out houseplants. Those boys have earned themselves a fan. Flora and fauna is essential to a healthy home, I heartily agree! By now, the hour was past nine and lightning flashed in the distance as a rolling thunder began and precipitation followed. I boarded the bus. Free rides on first fridays, evidently. Still, I struggled to mount the bike on the rack, and the bus driver was clearly amused and laughed audibly as I rushed on board after a hasty fastening. I know. I’m a character. I cradled a bag of crickets in my lap til the bus neared lansing. It was a while. I got off downtown and knew immediately I had to bike the rest of the way. Buses don’t run late. But it was not a problem! Lansing in the dark? challenge accepted. I was not slightly bothered. And it wasn’t a far ride. Oktoberfest sounded in the background of my trip. Drunkies….best be safe biking, eh? 10 PM and I was letting myself move with gravity as it pulled the bike faster and faster to my house at the dead end and the bottom of the hill. I tilted my head back and just relished the night. I’m exhausted. I have spent all day. But I’m alive. So that is the summary. I love the quirks and turns my day takes and makes and throws. Crazy Beautiful Life, i believe Ke$ha would say. I’m just spoiled. By everything I see.